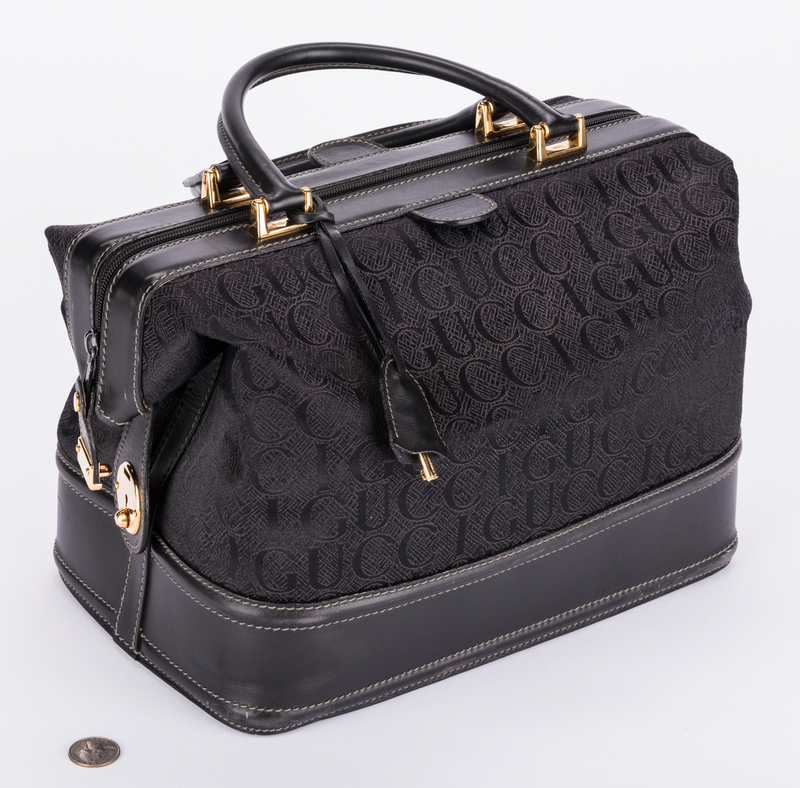 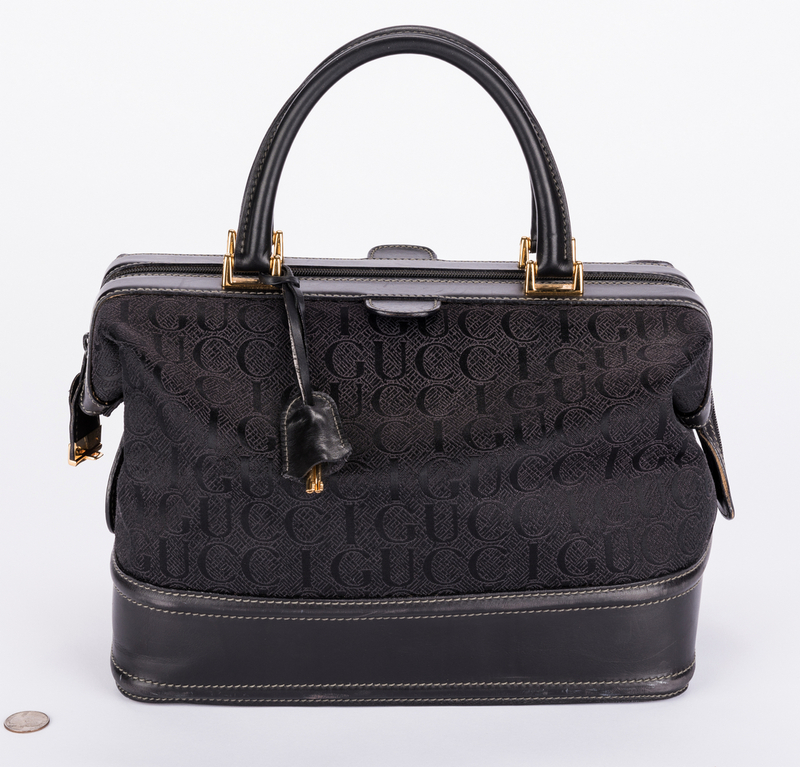 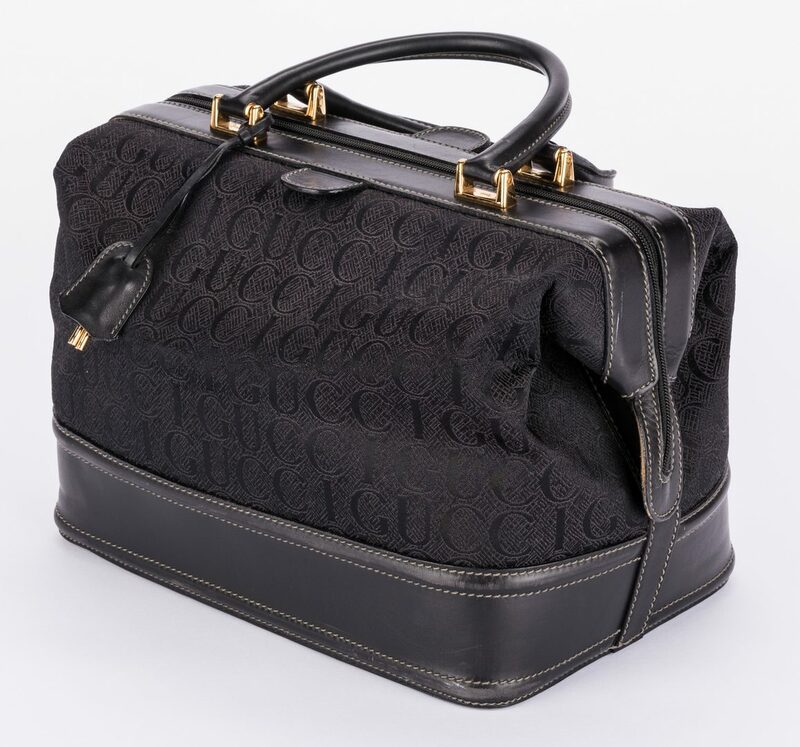 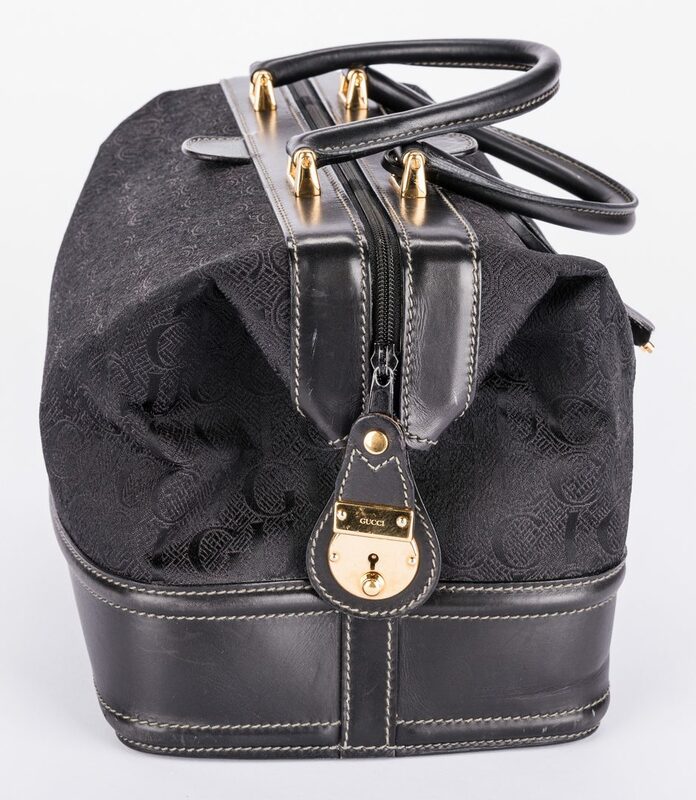 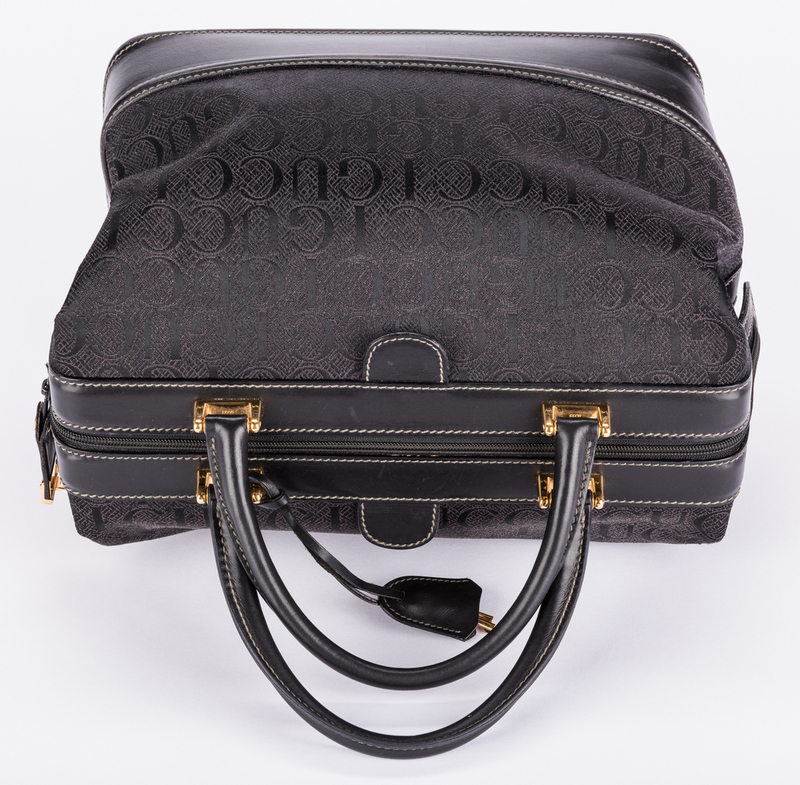 Vintage black Gucci canvas/leather trimmed Doctor Bag with gold-tone hardware, rolled handles, suede lining, zip pocket at interior and zip closure at top. 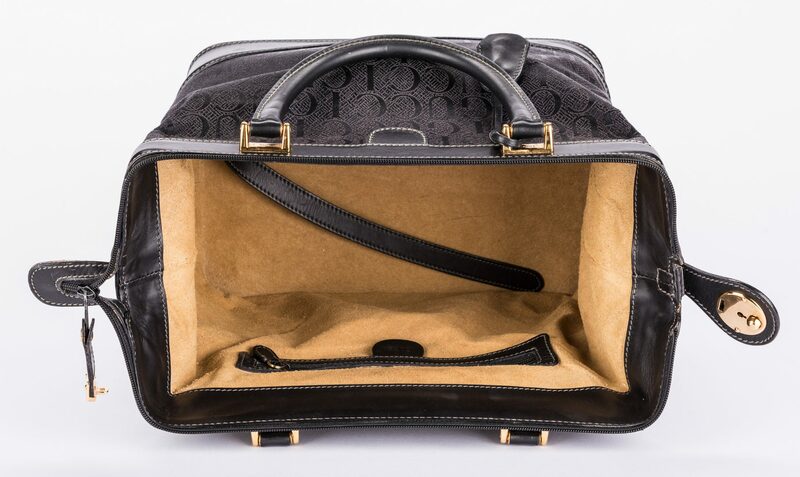 Includes keys for lock. 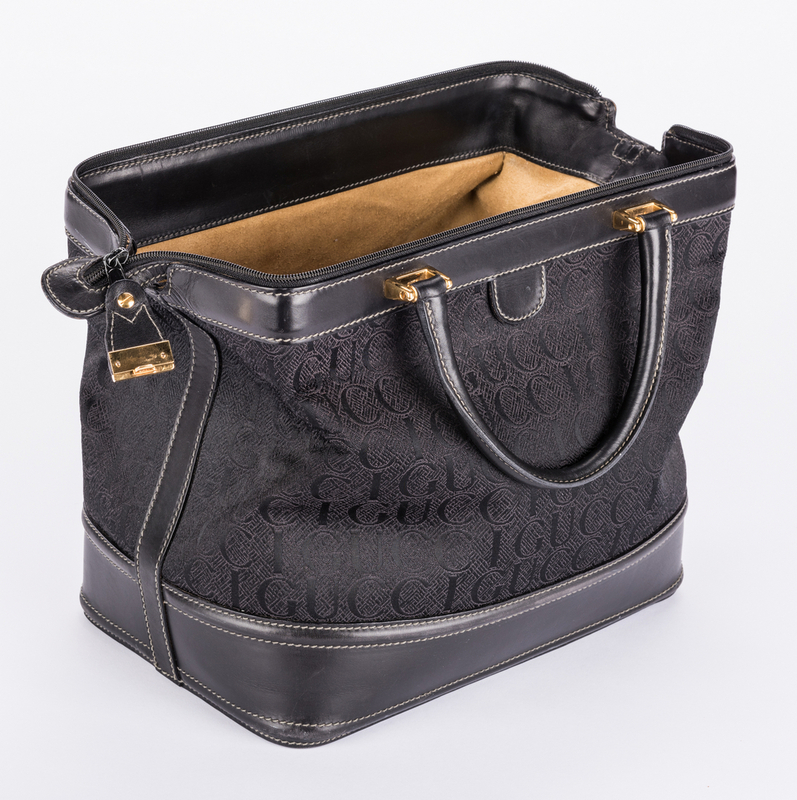 10″ H when opened, 8 1/2″ W x 12 1/2″ L. Circa 1980s. CONDITION: Gently used condition with minor scuffs on leather trim, scratches on hardware; exterior misshapen. 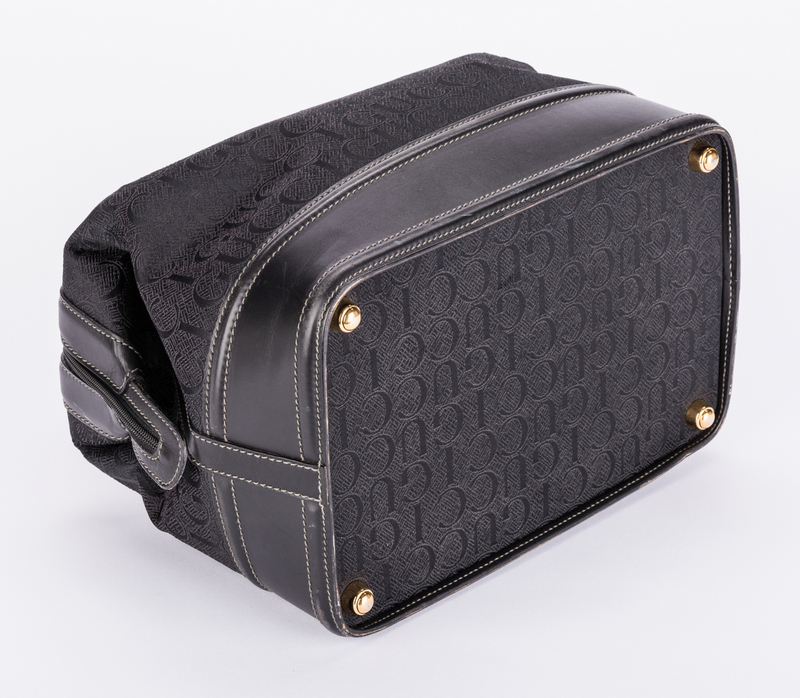 Interior has mild pilling of lining.